SNBC, Democracy Now, CNN and CSpan. 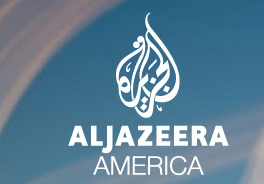 Today I decided to check out the new AJAM Al Jazeera America news network. I started by scanning the channels on my cable. That didn't work. I didn't know to look for AJAM as the Network call letters. So I went to the Al Jazeera website and found this page, which let me plug in my zip code to find local coverage. That was easy. What I saw was good. I'm not sure it's great. It definitely does not have the kind of eye candy and high stimulation programming that Fox news has, not that my readers would care -- but just by comparison. What is excellent is the network's approach to time. They are using a different rhythm to cover the news in more depth -- more interview with real people, reporters on the ground. What you also do NOT get is a lot of talking head pundits. Whether they are centrist or liberal or right wing, I'm tired of blowhards all working for big corporations. 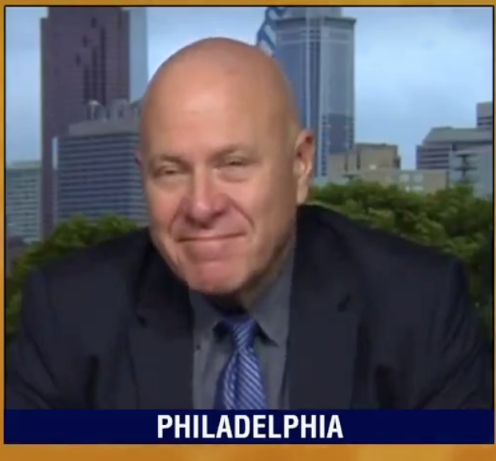 I particularly liked Ali Velshi's coverage of income inequality. A segment on forest fires had an expert who said that climate change had a lot to do with fueling the fires and dealing with them. I liked that and also liked that the host had several experts on, and gave them time to discuss, beyond sound bytes. So far, so good. I'm going to be watching AJAM over the next few days, to get a feel for it. Not watching CNN is really easy, since they've brought on New Gingrich (fill in the expletives) to head their resurrected Crossfire. He's already said he intends to move it right. Not watching MSNBC is easy as well-- too many Obama apologists. The one aspect of the AJAM purchase of Current TV that I am very sad about is their decision to take Cenk Uygur off the air. Fortunately Cenk is continuing with his The Young Turks Network. My final conclusion on Al Jazeera is that it shows a lot of promise. More news coverage is good news. Deeper, longer coverage, as a policy, is excellent news. A news network not owned by some huge corporation may be a good thing, even if it is run by a Sheikh and probably owned by an Emir. We'll find out if it's worse than a network owned by a megacorporation. My guess is that if there is any influence from the top down, it will be on reporting about the Middle East and the Arab world, and about Israel. Al Jazeera America (AJAM) is an American basic cable and satellite news television channel that was launched in the United States by the Qatar-based television network Al Jazeera Media Network on August 20, 2013. It was announced on January 2, 2013, along with the announcement that the network had purchased the American progressive media company Current TV, which had been struggling in ratings and announced in October 2012 that it was considering selling itself. Al Jazeera plans on shutting down the Current TV channel, keeping its off-air staff and possibly some programs and using the company's distribution network to broadcast Al Jazeera America. The channel directly competes with CNN, MSNBC, Fox News Channel, and in certain markets,RT. This will be Al Jazeera's second entry into the U.S. television market, after the launch of beIN Sport in 2012. The channel is headquartered and run from studios on the first floor of the Manhattan Center in New York City. It also has a total of 12 bureaus in Washington, D.C. at the Newseum, Chicago, Detroit, Nashville, Los Angeles, Seattle, New Orleans, Dallas, Denver, Miami, and San Francisco (the headquarters of Current TV). Al Jazeera Media Network also expects to increase its U.S.-based staff to a total of more than 300 employees as a result of Al Jazeera America. It was announced that the channel will have well-known veteran journalists, anchors, and producers.